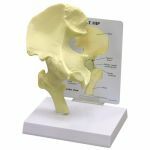 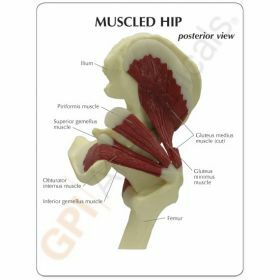 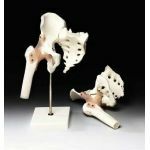 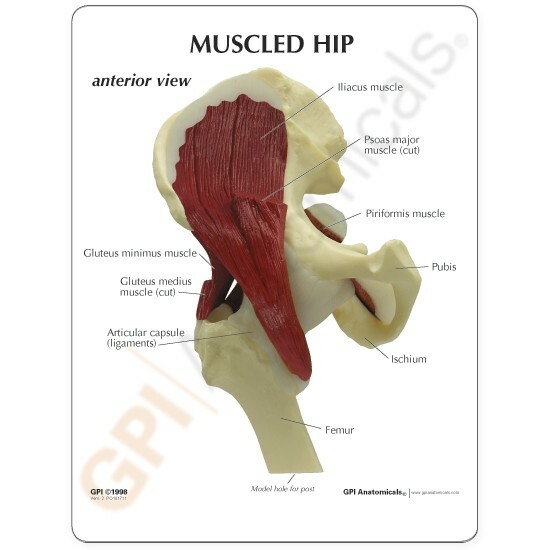 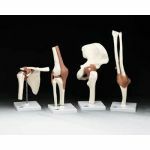 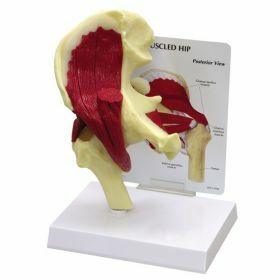 Full size normal right Hip with femur portion includes: gluteus medius, gluteus minimus, iliacus, inferior and superior gemellus, obdurator internus, piriformis and psoas muscles, and articular capsule ligaments. 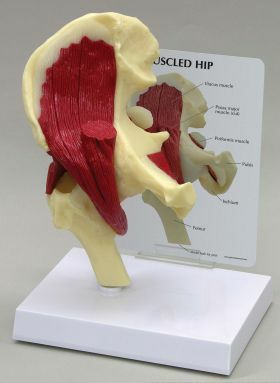 Model size: 5" x 4-3/4" x 8-1/4". Education Card size: 5-1/4" x 6-1/2"